Per his military service record (regimental no. 5777), ‘Richard Charlie Wheeler’, as he signed his name, was born at Hammersmith, London, England. (His name is also recorded as Richard Charles Wheeler, and Charles Richard Wheeler, on various documents in his service record). He gave his age as 18 years and 4 months, his marital status as single, and his occupation as labourer. His description on his Certificate of Medical Examination was height 5 feet 5 ½ inches tall, weight 9 stone, with a dark complexion, bluish grey eyes, and dark hair. His religious denomination was Anglican. He claimed that he had no previous military service. He completed his medical examination on 8th October 1915 at Gilgandra, and was attested by Captain T. A. Nicholas at Gilgandra on 9th October 1915, before the commencement of the Coo-ee March. ‘Charles R. Wheeler’ was reported in The Farmer and Settler as one of the first 25 recruits to enlist at Gilgandra to join the Coo-ee March. On his embarkation roll, his name is recorded as ‘Charles Richard Wheeler’, and his address at time of enrolment was not recorded. His next of kin was recorded as his father, C. [Charles] Wheeler, 5 River Terrace, Crisp Road, Hammersmith, London, England. On 3rd May 1916 Private Wheeler departed Sydney on the HMAT A46 Clan McGillivray, along with fellow Coo-ees Private Herringe, Private Saunders and Private Keating, as part of the 18th reinforcements for the 13th Battalion. He arrived in Egypt in June 1916. On 6th August 1916 Private Wheeler departed Egypt bound for England aboard the Transport Megantic. Upon arrival in England he marched into the 4th Training Battalion at Rollerstone, England. On 7th October 1916 Private Wheeler was charged with being absent without leave from midnight on 5th October 1916 until noon on 7th October 1916. He was awarded 48 hours detention, and fined 3 days pay. On 14th October 1916 Private Wheeler departed England bound for France. He marched into the 4th Australian Infantry Division Base Depot at Etaples, France, later that day. On 30th October 1916 Private Wheeler was taken on strength of the 13th Battalion when it was training at Vauchelles, France. On 1st February 1917 Private Wheeler reported sick. He was back with the Battalion on 3rd February 1917. On 28th July 1917 Private Wheeler was charged with conduct to the prejudice of good order and military discipline by writing disrespectfully of his Superior Officer. He was awarded 7 days Field Punishment No. 2. On 18th September 1917 Private Wheeler went to England on leave. He re-joined the Battalion on 29th September 1917. On 25th October 1917 Private Wheeler was detached to duty at the 3rd Australian General Hospital at Abbeyville, France. On 13th April 1918 Private Wheeler was charged with neglect of duty in that he was absent from parade on the night of 11th February 1918. He was awarded 7 days field Punishment No. 2. On 3rd May 1918 Private Wheeler was charged with whilst on active service drunkeness in Abbeville on 1st May 1918. He was awarded 14 days Field Punishment No. 2. On 26th June 1918 Private Wheeler was hospitalised with conjunctivitis. He was discharged on 30th June 1918. On 14th July 1918 Private Wheeler was hospitalised with gastritis. He was discharged on 28th July 1918. On 7th August 1918 Private Wheeler marched into the Australian Infantry Base Depot at Le Harve, France. On 14th August 1918 he marched out to re-join the 13th Battalion. He re-joined the Battalion on 19th August 1918 when it was manning the front line in the vicinity of Harbonnieres, France. On 27th September 1918 Private Wheeler went to England on leave. He returned to his unit from leave in France on 18th October 1918. On 24th October 1918 he was charged with overstaying leave in London from 0730 on the 12th of October 1918 till 0730 on the 17th of October 1918. He was awarded 14 days Field Punishment Number 2 and fined 19 days pay. On 3rd April 1919 Private Wheeler marched out to England and reported to the 1st Training Brigade at Weymouth, England. On 22nd May 1919 Private Wheeler was charged with being absent without leave from 2359 on 15th May 1919 until 2200 on 16th May 1919. He was awarded 3 days confined to camp, and fined 1 days pay. On 9th July 1919 ‘Richard Charles Wheeler’ married 19 year old Rose Gertrude Winifred Parsons at the All Soul’s Parish Church of Harlesden, England. On 18th August 1919 Private Wheeler was charged with being absent without leave from 0900 on 4th August 1919 until 2400 on 5th August 1919. He was admonished and fined 2 days pay. His service record records that Private Wheeler and his wife embarked for Australia on 8th October 1919 aboard the H.T. Benalla. They arrived in Australia on 29th November 1919. He was discharged termination of period of enlistment on 7th February 1920. Australia War Memorial. First World War Embarkation Rolls, ‘Charles Richard Wheeler’, HMAT Clan McGillivray A46, 3rd May 1916. Australian Imperial Force unit war diaries, 1914-18 War – AWM4 Subclass 23/30 – 13th Infantry Battalion, October 1916. Australian Imperial Force unit war diaries, 1914-18 War – AWM4 Subclass 23/30 – 13th Infantry Battalion, August 1918. Per his military service record (regimental no. 5700), Joseph Jacob John Herringe was born at Cowra, N.S.W. He gave his age as 21 years and 7 months, his marital status as single, and his occupation as fitter. He stated he has been apprenticed as a gasfitter for 3 years to A. Wright at Cowra. He claimed that he had 2 years previous military service with the 41st Infantry at Cowra. His description on his Certificate of Medical Examination form was height 5 feet 10 inches tall, weight 147 lbs., with a ruddy complexion, brown eyes, and brown hair. His religious denomination was Roman Catholic. He completed his medical examination on 11th November 1915 at Ashfield, and was attested by Lieutenant Frank Middenway at Ashfield on 11th November 1915. His date of joining was recorded as 11th November 1915, the day the Coo-ees marched from Parramatta to Ashfield. It appears that Joseph Herringe may have first presented to join the Co-ees at Katoomba, as a ‘J. Herringe’ was listed in The Blue Mountain Echo on 12th November 1915 as ‘one of the lads who answered the call, and marched out [of Katoomba] with the “Coo-ees” on their triumphant march to the sea’. (Several of the Coo-ees listed in this article did not undertake their attestation and medical examination until further along the march, or until they reached Liverpool Camp). Private Herringe, along with Private Colin Wren, ‘of the Coo-ees’, were ‘among the lads in khaki’ reported to be in Cowra on leave in the Cowra Free Press on 27th November 1915. 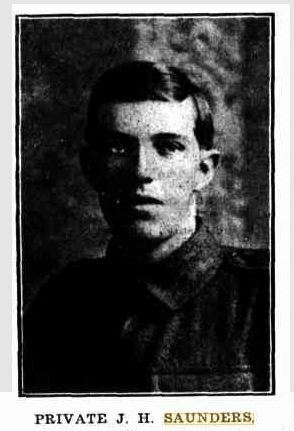 They were both reported being on leave again ‘spending the festive season with their relatives and friends’ in the Cowra Free Press on 30th December 1915. On his embarkation roll Private Herringe’s address at time of enrolment was Grenfell Road, Cowra, N.S.W. His next of kin was recorded as his mother, Mrs B. [Bridget] M. Herringe, at the same address. On 3rd May 1916 Private Herringe departed Sydney on the HMAT A46 Clan McGillivray, along with fellow Coo-ees Private Saunders and Private Keating, as part of the 18th reinforcements for the 13th Battalion. On 6th August 1916 Private Herringe departed Egypt bound for England aboard the Transport Megantic. He was sent to the 4th Training Battalion at Rollerstone, England. 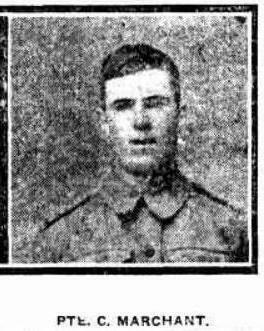 On 23rd September 1916 Private Herringe departed England bound for France. He marched into the 4th Australian Division Base Depot at Etaples, France on 24th September 1916. He was taken on strength of the 13th Battalion on the 4th of October 1916 whilst it was training and reorganising in the vicinity of Reninghelst, Belgium. On 18th October 1916 the 13th Battalion was relieving the 15th Battalion in the front line in the vicinity of Zonnebeke, Belgium, when Private Herringe was wounded by mustard gas poisoning. He was moved back to the 11th Australian Field Ambulance, then to the 3rd Australian Field Ambulance. On 20th October 1917 Private Herringe was sent to the 2nd Canadian Casualty Clearing Station. On 22nd October 1917 he was admitted to the 16th General Hospital at Le Treport, France. On 5th November 1917 Private Herringe was placed aboard the Hospital Ship Panama for evacuation to England. On 6th November 1917 he was admitted to the 1st Southern General Hospital at Birmingham, England, with status ‘gassed severe’. He was discharged on 15th November 1917, and marched into the No. 3 Command Depot at Hurdcott, England. On 12th February 1918 Private Herringe was transferred to the Overseas Training Brigade at Longbridge Deverill, England. On 23rd February 1918 Private Herringe was charged with being absent without leave from midnight on 21st February 1918 until 8.30 a.m. on 23rd February 1918. He was awarded 4 days field punishment no. 2, and fined 5 days pay. On 4th March 1918 Private Herringe departed Southampton, England bound for France. He marched into the 4th Australian Division Base Depot at Le Harve on 5th March 1918. He re-joined the 13th Battalion on 9th March 1918 whilst it was training in the vicinity of Neuve Eglise, France. 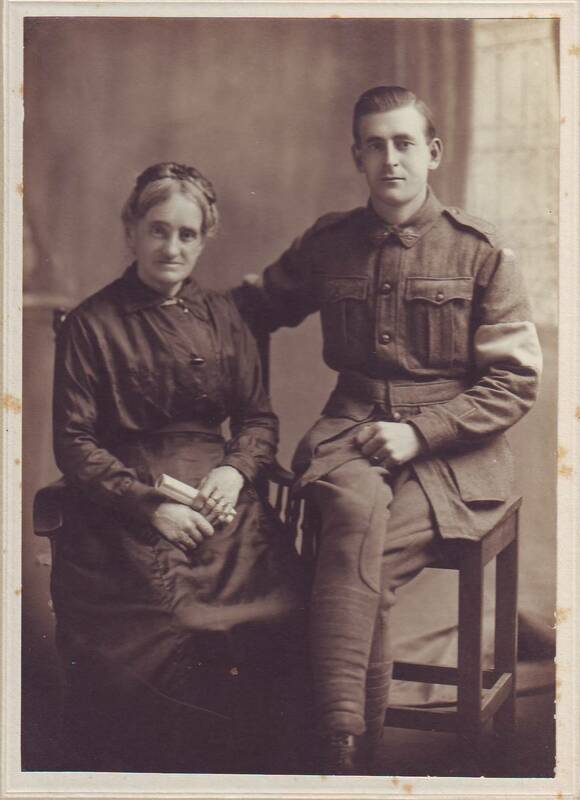 On 28th April 1918 Private Herringe was sent to the 14th Australian Field Ambulance then moved to the 20th Casualty Clearance Station with a condition not yet diagnosed. He was discharged and returned to the 13th Battalion on 30th April 1918 when it was at Glisy, France. On 25th May 1918 the 13th Battalion was conducting training at Allonville, France, when Private Herringe was sent to the 4th Australian Field Ambulance suffering pyrexia. He was moved back to the 61st Casualty Clearing Station. On 26th May 1918 he was placed aboard the 20th Ambulance Train and evacuated to the 56th General Hospital at Etaples, France, where he was admitted on 27th May 1918. On 1st June 1918 Private Herringe was placed aboard the Hospital Ship Princess Elizabeth for evacuation to England with severe trench fever. He was admitted to the Reading War Hospital in England later that day. Private Herringe was discharged from hospital on 5th July 1918, and given leave until 19th July 1918. He marched in to the No. 1 Command Depot at Sutton Veny, England, on 19th July 1918. On the 10th of August 1918 Private Herringe was transferred to the Overseas Training Brigade at Longbridge Deverill, England. On 19th August 1918 Private Herringe was transferred to the 12th Training Brigade at Codford, England. On 19th November 1918 Private Herringe was admitted to the 1st Australian Dermatological Hospital at Bulford, England, suffering warts. He was discharged on 6th December 1918 and returned to the 12th Training Battalion. On 15th January 1919 private Herringe marched into the Concentration Depot at Codford to await his return to Australia. Private Herringe departed Liverpool, England on 19th February 1919 for return to Australia aboard the H.T. Orca. He arrived in Australia on 9th April 1919. A letter in his file dated 1st February 1921, addressed to the O.C., Base Records, reported that he was ‘still on Hospital strength’. H was discharged medically unfit on 14th May 1921. Per his military service record (regimental no. 5766), John Hole Saunders was born at Parramatta, N.S.W. He gave his age as 18 years and 10 months, his marital status as single, and his occupation as shop assistant. His description on his Certificate of Medical Examination form was height 5 feet 7 ½ inches tall, weight 123 lbs., with a fair complexion, blue eyes, and brown hair. His religious denomination was Methodist. He claimed to have 4 years universal military training and was still serving. He completed his medical examination on 10th November 1915 at Parramatta, and was attested by Lieutenant R. Howe at Parramatta on 11th November 1915, when the Coo-ees were recruiting at Parramatta. He claimed that he had 4 years military service in the Cadets. On his embarkation roll his address at time of enrolment was Dersmore, Crimea Street, Parramatta, N.S.W., and his next of kin is listed as his father, J. H. [John Hole] Saunders, at the same address. On 3rd May 1916 Private Saunders departed Sydney on the HMAT A46 Clan McGillivray, as part of the 18th reinforcements for the 13th Battalion. On Te-el-Kebir on 25th July 1916 Private Saunders was charged with conduct to the prejudice of good order and military discipline in that whilst on a route march disobeyed an order directly given by his superior officer. He was awarded 2 days confined to barracks. On 8th August 1916 Private Saunders departed Egypt bound for England aboard the Transport Megantic. On 12th December 1916 Private Saunders departed Folkestone, England, aboard the SS Arundle bound for France. He marched into the 4th Australian Division Base Depot at Etaples, France on 13th December 1916. On 19th December 1916 Private Saunders marched into the 13th Battalion when it was training at Coisy, France. On 13th January 1917 the 13th Battalion was conducting fatigue duties at Mametz, France, when Private Saunders was evacuated the 5th Australian Field Ambulance sick with Influenza. On 15th January 1917 he was sent to the 38th Casualty Clearing Station, then placed aboard the 25th Ambulance Train for journey to No. 10 General Hospital at Rouen, France. On 26th January 1917 he was released from hospital and sent to the 4th Australian Division Base Depot at Etaples, France. He rejoined the 13th Battalion on 16th February 1917 whilst it was training and performing fatigue duties at Mametz, France. On 11th April 1917 the 13th Battalion was involved in the attack on the Hindenburg line in the 1st Battle of Bullecourt, France, when Private Saunders was evacuated to the 8th Australian Field Ambulance suffering Asthma. He was moved to the 4th Australian Field Ambulance, then sent to the 56th Casualty Clearing Station on the 20th April 1917. On 23rd April 1917 he was transferred to the 11th Stationary Hospital at Rouen, France. He was discharged from hospital on 26th April 1017 and sent to the 4th Australian Division Base Depot at Etaples, France. Whilst at the 4th Australian Division Base Depot Private Saunders was classified as “PB” [Permanent Base duties]. Private Saunders arrived in Weymouth on 30th May 1917 and marched into the No. 2 Command Depot. On the 4th of June 1917 he was transferred to the No. 1 Command Depot at Perham Downs, England. On 9th June 1917 Private Saunders was classified as “B1A4” [fit for overseas training camp when passed dentally fit]. On 13th September 1917 Private Saunders was reclassified as “A3” [fit for overseas training camp, to which transferred for hardening, prior to rejoining unit overseas]. On 14th September 1917 Private Saunders was sent to the Headquarters Depots at Tidworth, England, to perform guard duties. On 25th October 1917 Private Saunders was temporarily detached for duty at the Administrative Headquarters in London. On 4th December 1917 Private Saunders was sent to the No. 3 Command Depot at Hurdcott, England. On 5th December 1917 he was reclassified as “B1A3” [fit for overseas training camp in two to three weeks]. On 15th December 1917 Private Saunders was reclassified “A3” [fit for overseas training camp, to which transferred for hardening, prior to rejoining unit overseas]. On 19th December 1917 Private Saunders was transferred to the Overseas Training Brigade at Longbridge Deverill, England. On 10th January 1918 he departed Southampton, England, bound for France. He marched into the 4th Australian Division Base Depot at Le Harve, France, on 11th January 1918. On 18th January 1918 Private Saunders rejoined the 13th Battalion on 18th January 1918 when it was training at Locre, Belgium. On 27th January 1918 the 13th Battalion was at White Chateau was manning the front line near Hollebeke in Belgium when Private Saunders was evacuated to the 13th Australian Field Ambulance suffering Balantitis. He was moved back to the 2nd Australian Casualty Clearing Station. On 29th January 1918 he was placed aboard the 39th Ambulance Train and transported to the 39th General Hospital at Le Havre France, where he was admitted on 1st February 1918. He was discharged on 3rd February 1918, and sent to the 4th Australian Division Base depot at Le Harve. He rejoined the 13th Battalion on 12th of February 1918 when it was training at Locre, Belgium. On 9th May 1918 the 13th Battalion was manning support lines near Villers Bretonneux, France, when Private Saunders was evacuated to the 13th Australian Field Ambulance sick. He was moved back to the 61st Casualty Clearing Station then on 10th May 1918 he was placed aboard the 28th Ambulance Train for journey to the 39th General Hospital at Le Harve, France, where he was admitted on13th May 1918. Private Saunders was discharged from hospital on 16th July 1918 and marched into the 4th Australian Division Base Depot at Le Harve that same day. He rejoined the 13th Battalion on 3rd August 1918 when it was manning the front line south of Villers Bretonneux, France. On 7th August 1918 the 13th Battalion was preparing to move forward to participate in an attack on the German lines around Amiens when Private Saunders went absent without leave at 9.30 p.m. He returned at 9.15 a.m. on 12th August 1918. On 22nd August 1918 he was charged with being absent without leave, and was awarded 28 days field punishment No. 2 and fined 33 days pay. On 15th September 1918 the 13th Battalion was preparing to move forward to the front line when Private Saunders went absent without leave again. He was located on 18th September 1918 and charged with desertion. On 7th October 1918 a Field General Courts Martial was held where Private Saunders was charged with Desertion. He pleaded Not Guilty. He was found Guilty, and he was sentenced to serve 10 years Penal Servitude. On 8th November 1918 Private Saunders marched into the No. 1 Military Prison at Rouen, France. On 17th February 1919 he was transferred to England on SS Nirvana to serve the remainder of his sentence. On 19th February 1919 Private Saunders marched into His Majesty’s Prison at Portland in England. On 25th April 1919 Private Saunders’ prison sentence was suspended, and he was released and marched into the No. 4 Group at Hurdcott, England, on 26th April 1919. On 2nd June 1919 Private Saunders departed Devonport, England, aboard the HT Beltana bound for Australia. He arrived in Sydney on 20th July 1919, and was discharged Termination of Period of Enlistment on 4th September 1919. 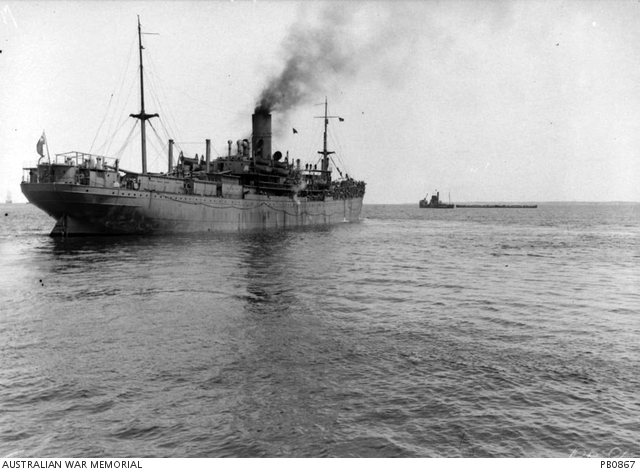 Frank HUMPHREY embarked from Sydney on the HMAT A17 Port Lincoln ; Percy Walter HOLPEN transferred to the 4th Pioneer Battalion in Egypt. 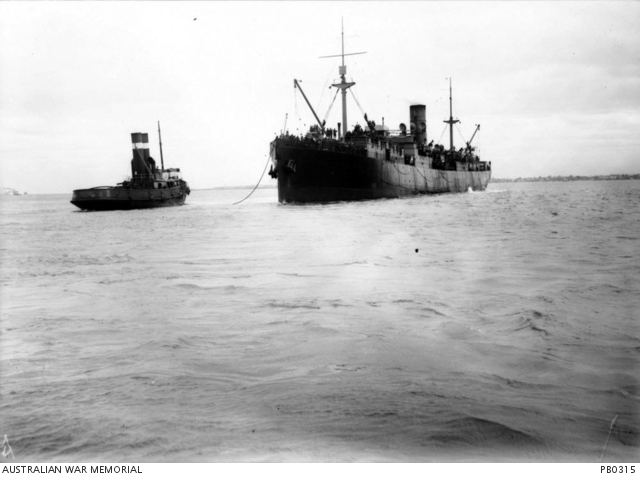 HMAT A17 Port Lincoln on a later voyage. Part of the Australian War Memorial collection. PB0867. Francis Noel WHITE and another Coo-ee embarked from Sydney on the HMAT A1 Hymettus ; Darcy KEATING and three other Coo-ees embarked from Sydney on the HMAT A46 Clan Mcgillivray. HMAT A46 Clan MacGillivray on a later voyage. Part of the Australian War Memorial collection. PB0315. William Solomon CISSMAN and Arthur Ernest MCGREGOR embarked from Sydney on the HMAT A10 Karroo. William Henry PEPPERNELL embarked from Sydney on the HMAT A72 Beltana. Charles Edmond MARCHANT received an accidental gun shot wound to the left elbow at Serapeum in Egypt, which resulted in his being sent home to Australia. Laurence Leslie MAGUIRE transferred from the 13th Battalion to the 45th Battalion in Egypt. John TARLINGTON transferred from the 54th Battalion to the 4th Pioneer Battalion in Egypt. Colin David WREN transferred from the 54th Battalion to the 4th Pioneer Battalion in Egpyt.